ARMY HAS CHOSEN A 6.8mm TO REPLACE THE 5.56 !! ARP barrels may not be a Krieger or Bartlien but I'll put them up against any AR15 barrel made including Noveske, Wilson Combat and Larue. Sorry but all orders MUST be placed online. Due to the poor performance on game we do not offer any 300 Blackout barrels. AR Performance(ARP) as an online retailer is committed to providing the best practical high performance parts for the AR15 platform at a decent price( we cut out the middle man) The high performance "AR match grade" 5R barrels we produce were ahead of their time in 2008. Many are just now copying the barrels we produced in 2008 while I have designed and moved on to a higher performance 3R barrel. The new 3R barrels create 40% less engraving force and bullet deformation for handloaders wanting to push the envelope. Our barrels are less expensive because I choose not to place as much markup on the barrels and sell more of them. Our barrels are easily sub MOA and with good hand loads they can be 1/2 MOA. 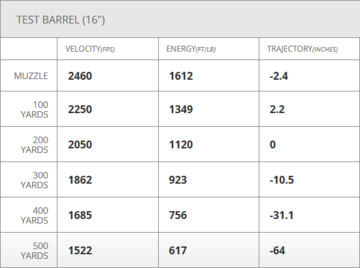 Better exterior ballistics, terminal performance, accuracy, velocity and long life are all possible with finely tuned chambers and high performance hybrid 5R and 3R rifling in Melonite treated 4150 CMV barrels. There is only one Superbolt(5.56, 6.8, Grendel- mil spec compatable), I designed it in 2009 and machine them in house. The 750XD and Titan bolts are the strongest AR15 bolts made for the 6.8 and Grendel wildcats(proprietary extension required). The 6.8 is apx 100fp faster than the Grendel using the same weight bullet and same length barrel. Everyone is moving to the 6.8 after they figure out the 300AAC just doesn't kill like it was hyped up to. Swat and DEA teams are also changing over to the 6.8 after seeing the increased performance. Below is comparison between 24" grendel 123sst and 16" 6.8 120sst. subtract 100fps from the Grendel and add 100fps to the 6.8 to get to a common 20"length for both. You can see with info straight from Hornady the 6.8 is apx 100fps faster than the Grendel with the same length barrel. If you are looking for the best all out terminal performance on hogs and deer out to 300yds the 30 Herrett is it. The rounds hit like Thor's hammer, DRT. A perfect match for Texas hog hunters. 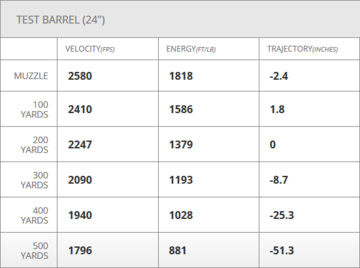 They are pushing the CB 125gr MKZ to 2790 out of an 18" barrel with 29.4gr of SW blackout. That is 200fps faster than a 20" Grendel and 500fps faster than the Blackout. 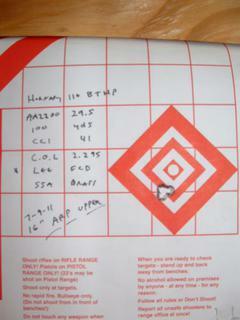 The 130gr MK319 SOST military bullets also work great in the 30 Herrett, 2600 from a 16" barrel. The 6mm may be the most versatile caliber for the AR15. It is capable of taking small varmints with 55gr loads, yotes with 87s, deer and hogs with 80 and 90gr hunting bullets and long distance target with 95 and 105gr bullets. I offer a 6mm based on the 6.8 case(TAC 6) and 1 based on the Grendel case(6mm Predator). The 6.8 case has been trimmed a little to allow loading the 105s at mag length. The 6mm Predator(Grendel based) has apx 2 gr more capacity but because we can run higher pressure in the 6.8 case there is only apx 50fps difference between thee TAC 6 and the 6mm Predator. The 105s hit apx 2700fps from an 18" barrel, 2800 from a 22" barrel. Due to numerous shipping, fraud and theft problems over the last 9 years. We have a very strict ordering and shipping policy. We can ship by FEDEX or USPS to residence, business or post offices but the shipping address must match the billing address associated with the credit card used to place the order. The processing company will NOT approve any transaction where the shipping address does not match the billing address, it will trigger the fraud prevention office . Sorry but, we will no longer ship to apartments complexes. All parts will require a signature upon delivery to prove the item was delivered, Fed Ex or USPS for PO boxes. Present shipping times apx 5 -7 BUSINESS days plus travel time. If you do not agree to these terms do not attempt to place an order. Sorry we do not offer any gunsmithing services.